Creating a user interface that produces your desired response can be the difference between a successful email campaign and a total flop. 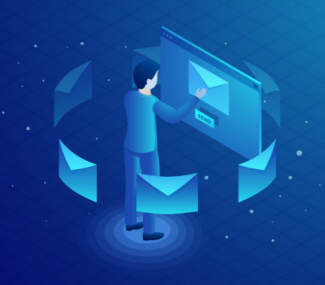 To simplify the process, we’ve outlined 3 ways to design your emails which will have differing effects on how viewers view and interact with them. 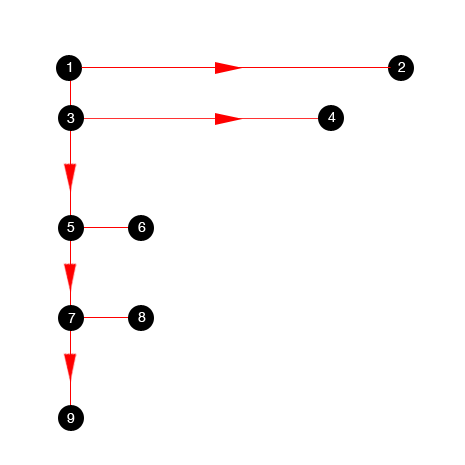 One way people view emails is through an F-shaped scanning pattern. This type of eye movement occurs when people are observing large bodies of text. If you are sending out an email with a lot of content in it, expect people to view it in this fashion. In this type of eye movement, the eye begins at the top-left corner of a screen and scans across it in a horizontal movement. From there, it scans down the page a bit and then starts another horizontal movement across the screen, stopping a bit sooner than it did in the first horizontal stretch. This continues, with the horizontal lines getting smaller and smaller until all the content has been scanned. The F pattern suggests that people scan online rather than read. This means you should probably avoid large blocks of texts in an email. 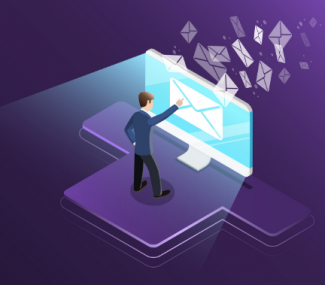 Furthermore, the most important content you send should be placed toward the top of the email where it will generally be read. Less important information should be placed on the left edge of the design. Sometimes emails with large blocks of texts cannot be avoided though. In these situations, introducing graphical elements that disrupt the layout and make the viewer shift away from F pattern scanning will keep them interested. This makes it more likely that they will scan your entire email rather than give up and get bored. Z pattern layouts should be used when text is not the focus of the design. 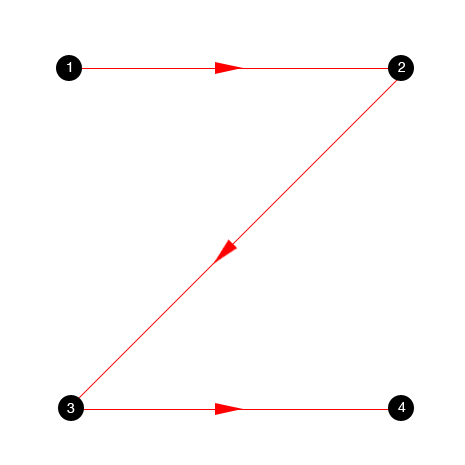 In this type of scanning, viewers observe designs in the shape of a letter z. Viewer’s first scan a horizontal line starting at the top-left, move across the page horizontally, then diagonally to the bottom-left and finally finish at the bottom-right after another horizontal movement. This can be repeated several times because when the eye reaches the bottom-right, it will shoot down and left and begin scanning again, creating a zig-zag shaped pattern. This type of design can lead to more conversions because you are in control of where the viewer’s eyes move. The most important parts of the design should be featured in the top horizontal line, with accompanying information along the diagonal line. Finally, the bottom horizontal line should highlight a call to action for the viewer. Inverted pyramid patterns are used to present information efficiently and quickly. This is particularly useful for email, where viewers can quickly lose their attention and get bored. 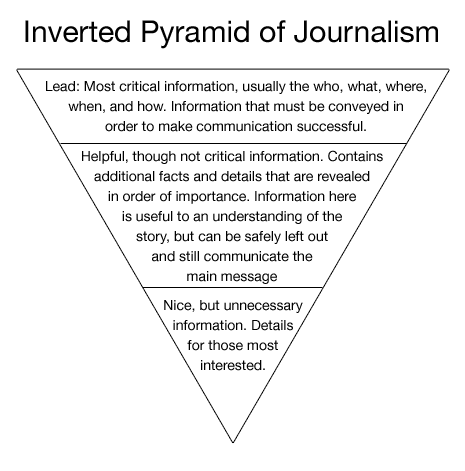 In inverted pyramid patterns, the most important information is displayed first toward the top of the design. From there less important information is added in and finally, unnecessary information makes up the tail end. In these designs, chunks of content can be broken down into sections that are easy to consume. 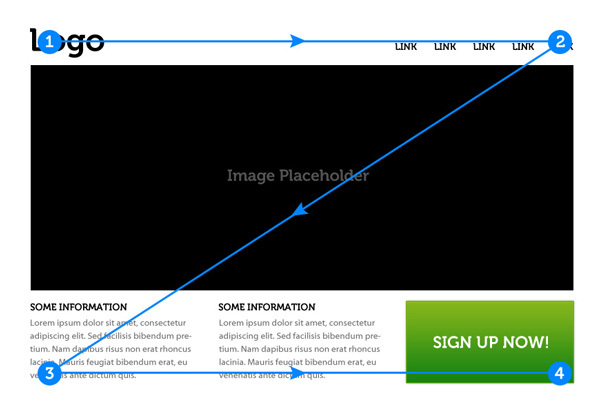 Plus, it can draw scanning readers toward a call to action button toward the bottom of the design. This type of design can help leverage your email campaigns so that they are more engaging and effective to viewers. By guiding a viewer’s eye down to a call to action button, you are encouraging them to connect with your offer, which will increase your brand awareness, website traffic and ultimately sales. 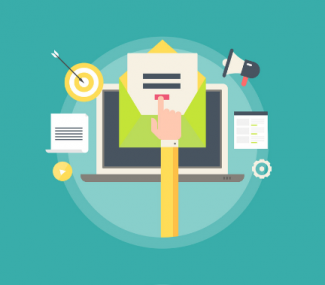 Each type of email design offers different benefits. For emails with large bodies of text, F patterns can be used to determine where important information should be located within the paragraphs. Z patterns can be used for image-heavy designs and manipulate the way a person views the email. Inverted pyramid patterns draw scanning viewers toward a focal point at the bottom of an email. During your next email campaign, determine which type of pattern is most relevant and start designing for success.